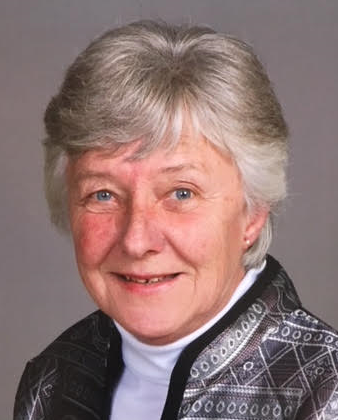 Sandra A. Jochmann, 72 of the town of Plymouth passed away unexpectedly at her home on Monday, September 24, 2018. Sandra was born on November 1, 1945 in Plymouth, a daughter to the late Edward and Alma (Koeser) Ardell, Sr. She attended Plymouth schools and graduated from Plymouth High School in 1963. On April 4, 1964 she was united in marriage to Ronald Jochmann at St. John the Baptist Catholic Church. In 1980 with their family they vacationed in 13 of the 50 United States. She and Ron also snowmobiled in the Yellowstone area. He preceded her in death on March 24, 2003. Sandra enjoyed activities outdoors among them, hunting, fishing and snowmobiling. She also enjoyed knitting and crocheting, rummage sales, stock car races and NASCAR. Sandra was a member of St. John the Baptist Catholic Church. Sandra is survived by two sons and grandsons, Michael (Cindy) Jochmann of DeFuniak Springs FL and their sons, Michael (Tia) Jochmann, Jr. and Matthew Jochmann and Jeffrey (Lynnette) Jochmann of Plymouth and their son, Cody Jochmann and another grandson, Jonathan Jochmann; three great granddaughters and a great grandson; her brothers, Edward (Darla) Ardell, Jr. of Plymouth and Rick (Pam) Ardell of Redding, CA; sisters-in-law, Wanda Ardell and Carolyn (Kenneth) Hoeppner, both of Plymouth; her stepmother, Ollie Ardell and stepbrothers and stepsisters. In addition to her parents and husband she was preceded in death by a son, Steven Jochmann and brother, Lyle Ardell. A Mass of Christian Burial will be celebrated 4 PM, Friday, September 28 at St. John the Baptist Catholic Church with Rev. Philip Reifenberg as celebrant. A private burial will take place in Woodlawn Cemetery. Family and friends may gather at the church, 115 Plymouth St. on Friday from 2 PM until the time of Mass at 4 PM. In preference to flowers memorials in Sandra’s name are preferred.